This post has been updated with some new information. At the end of this post, there is a download link provided for those opening a GTBank Domiciliary account. The link is probably, for GTbank reference form. So, if you are been directed to this post because of this reference form, just scrolit'selow and get it. 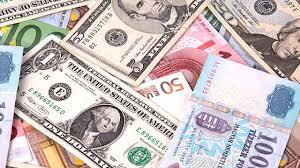 Meanwhile you can still learn how to withdraw from your domiciliary account here in Nigeria. Domiciliary account is the best of its kind, it's secured and reliable, very good to save and withdraw different currencies from. Dom account gives you the opportunity to save and withdraw different currencies at any point in time, no matter the country you are residing, so long as you have the account. So to have it, this is very essential to those dealing with any online business that pertains with different countries. If you are an online geek and yet to have this account, my dear I advise you to open it right away. Let's go in details on how to withdraw your money from any domiciliary account. So if you have the dom account, below are they ways to go about withdrawing it. You should note that there are different ways of withdrawing from domiciliary account due to the type of account you are running may be Savings or Current. >> Writing An Application For Withdrawal: This works as the title stated, you only write an application using your withdrawal address to the bank branch manager and your money will be released. Very simple and reliable. >>Withdraw Using A Cheque: This is exactly same thing you do when you want to withdraw from other bank service. All you need to do is to fill in the details of your cheque containing; the Amount, signature, date etc. Very simple isn't it? >>Domiciliary Wire Transfer: Here entails bank to bank wire transfer transaction. It could be from local or international. Here the fund is expected to be transferred in just a week. >>Using Of Withdrawal Slip: Almost everyone banking does this particular transaction. All you need to do, is to get a withdrawal slip from the bank and then fill in the required details and your money would be paid from the foreign currency teller. >>Withdrawal Of Domiciliary Saved Money from ATM( of cause you all know that ATM means; Automated Teller Machine): You are expected to withdraw your money from any globally connected ATM in Nigeria in the local currency or abroad in the country's currency using ATM card like your visa or MasterCard, whichever one that serves you better. How to Link Or Receive Your Google Adsense Earning Through A Domiciliary Account. How to Receive Google Adsense Payment Directly To Your Payoneer Account. How To Transfer Money Using Only USSD Code Via Phone For Nigerian Banks (No internet Connection). Guide On How To Use Your National Identity Card To Withdraw Money From Bank ATM. Click here. to download reference form, for GTbank Domiciliary account registration. Am assured that the above guide would be of help to you whenever you want to withdraw from your domiciliary account. Always get in touch with this blog as the best tips will be unveiled day by day on different angles.